Launched in 2001 with the desire to create a handpicked collection of homeware products that you couldn't find in traditional catalogues, Cox & Cox have taken inspiration from unique and eclectic products that are practical but also beautiful. 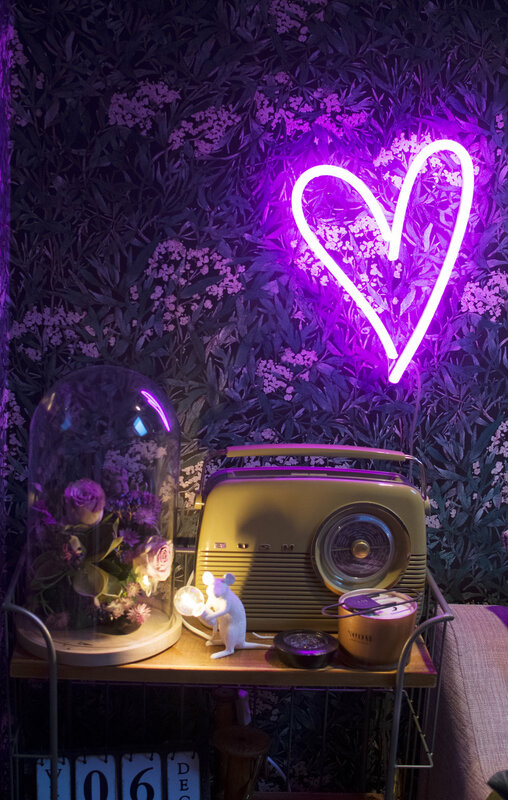 Aimed at individually-minded customers who want to create a unique and beautiful home, they are always expanding their collections online to bring an eclectic mix of brand new and old favourite products that have the power to transform any space. 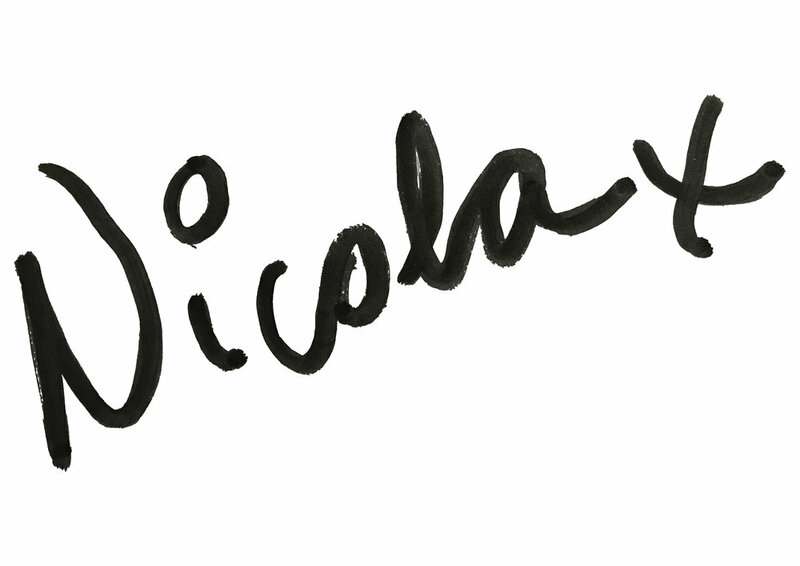 They have created a considered selection of inspirational, individual home accessories to update your homes and garden; from lighting and rugs, to attractive storage and decorative accessories; all hand selected by them with you in mind. I have long since followed and shopped at Cox and Cox and have many items in my home so when asked to style three items, naturally I was definitely up for the challenge. But since it is also the run up to Christmas, I couldn't resist adding some Christmas styling in here too, choosing new glassware for my Christmas Table and Bar Cart. I have just wallpapered my study in Malin Black from the OAS collection by Sandberg and was looking for some industrial storage. Choosing the Industrial Shelf Trolley meant I could have great looking storage that would fit into the corner of my study; which is not huge. I also choose to style the Glass Dome with flowers in colours that worked well with my wallpaper; lilac roses, berries, pink astrantia and some faux succulents plus a cherub. You could also use fairy lights or any object that you want to put on display; perhaps something vintage like the wooden bobbins you can see below. 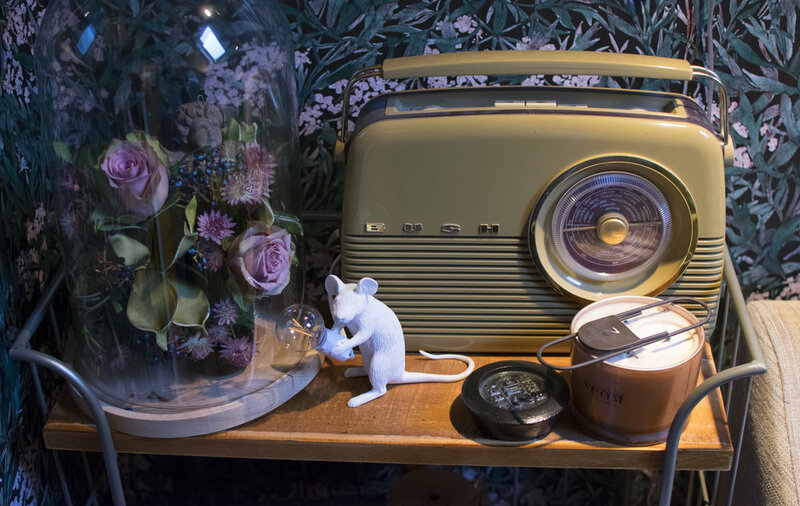 Other items on my trolley include a Selletti Mouse Lamp, Glasses by Abigail Ahern, and vintage items which I have picked up over the years, candles, faux plants, a calendar and practical wire storage baskets. 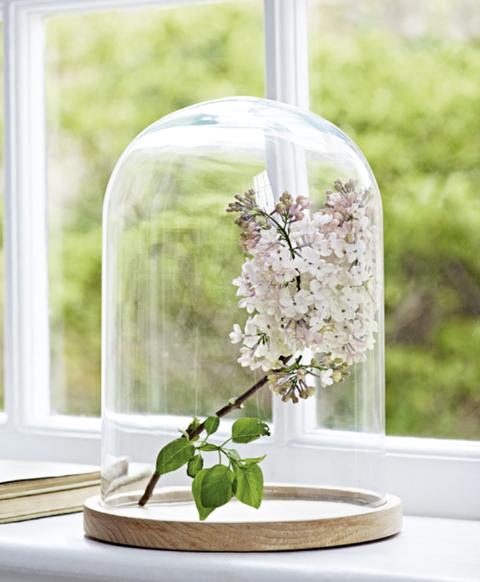 Here you can see a close up of the Glass Dome filled with a flower arrangement. It is really simple to create this look; soak a piece of florists foam in water, cut the flower stems quite short but at differing lengths and insert them around the foam until you achieve the look, shown above. Make sure you can get the glass dome over the top of the arrangement. I think the Industrial storage trolley makes a great and stylish addition to my Study. Before I moved my items up to my Study, which is their final resting place (excepting the glasses) I wanted to style them in my Dining Room which I was currently decorating for Christmas. 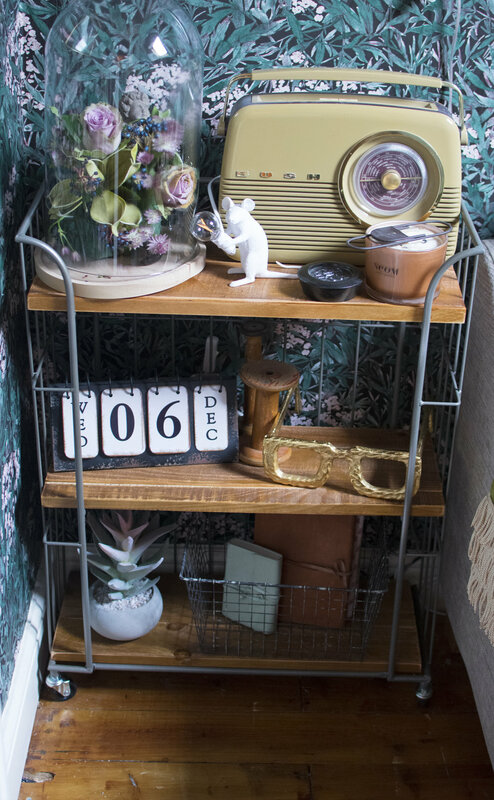 Here you can see the Industrial Storage Trolley looks just as good under my vintage mirror, styled with presents and flowers; in fact I liked it here so much, it almost didn't make it up to my study. I had always intended the smoked embossed glasses to be items that we would use over dinner; although for a brief second I did consider adding them to my Study with a bottle of wine, then remembered that I was unlikely to do much work. Below you can see them on my Christmas Table, where the Glass Dome also makes a great centre piece to the table itself. 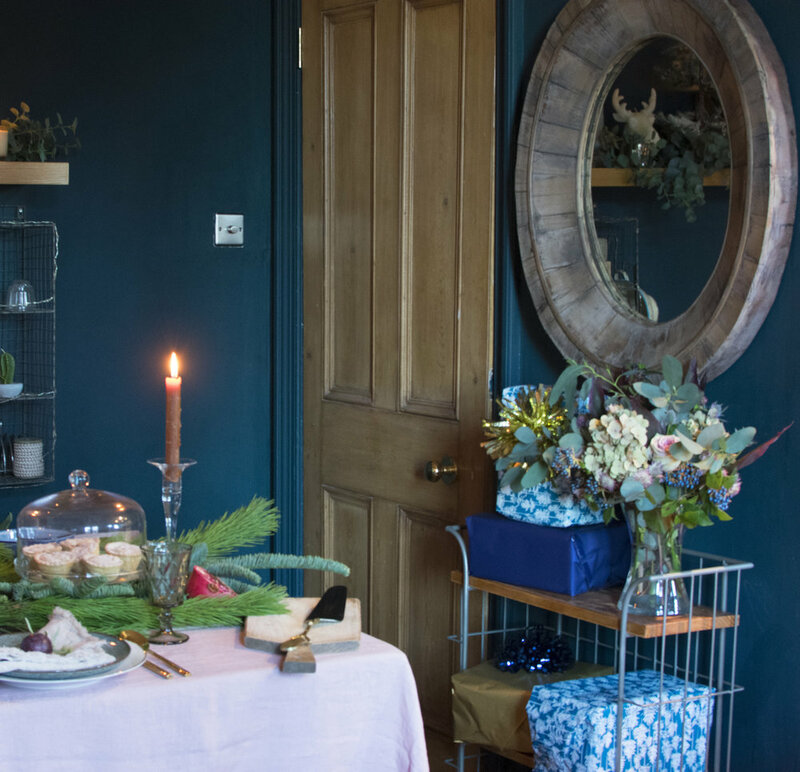 The table is styled in non traditional colours; pink and blues, although the foliage itself is traditional fir branches and fruit which is easy found at this time of year. And of course no dining room should be without a bar cart, especially at Christmas. You can see the Embossed Glasses make a great addition to my vintage cart. So there you go, two very different looks, incorporating the three items I choose to style from Cox and Cox, with a bit of Christmas thrown in.